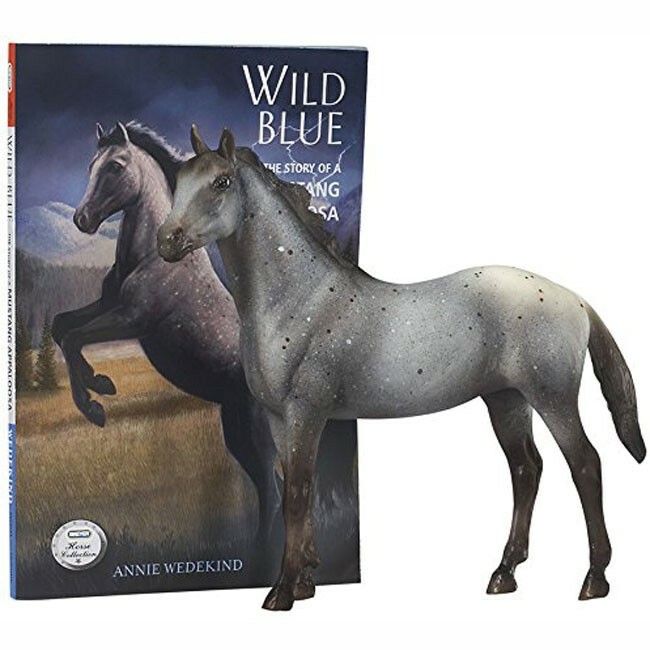 Read the adventurous and sentimental story of a wild mustang, Blue, from the Breyer Horse Stories series and play with the horse model that looks exactly like in the book. 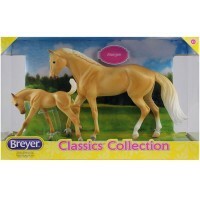 Read Breyer's Wild Blue classic horse story and play with the gracious horse model from this terrific gift set for young horse lovers. 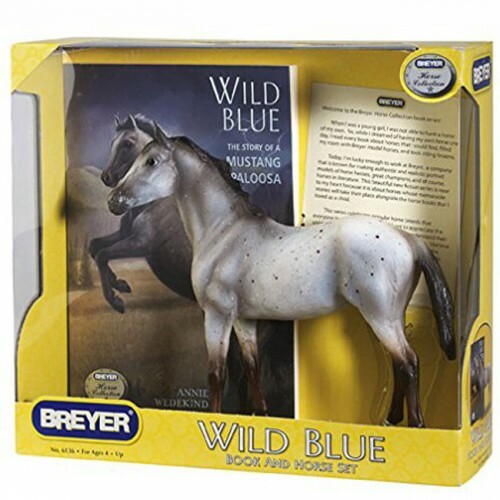 Breyer Wild Blue Horse Story Book and Model Set presents the compelling story of a Mustang Appaloosa. 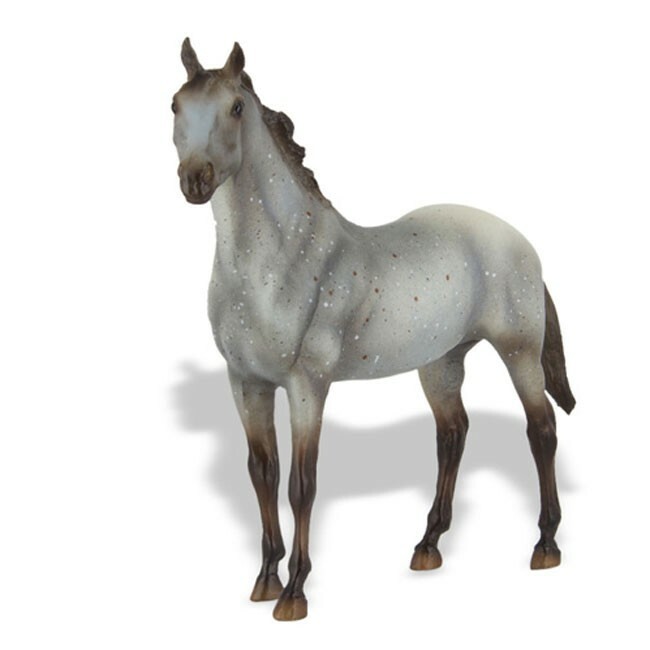 Blue is a roan horse with the distinctive coloring, rare intelligence, and free soul. 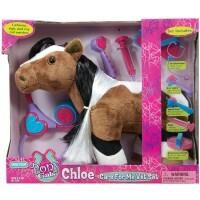 This filly lives in the wild where life can be beautiful and can be tough. 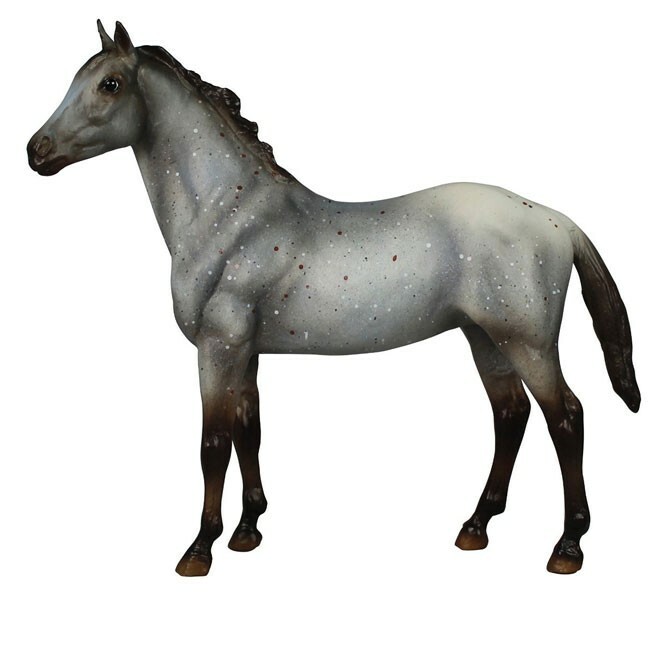 Everything is changed one day, when Blue and her sister are captured by cowboys. 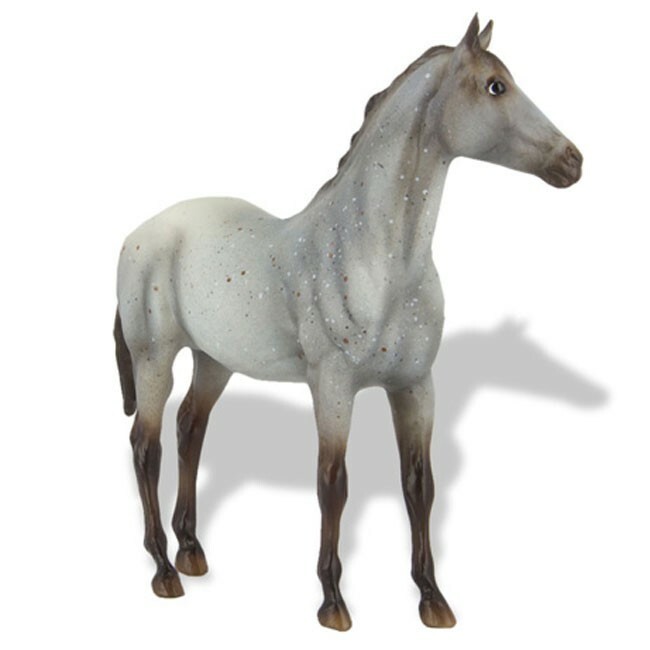 Blue's undiscovered herd is in danger. 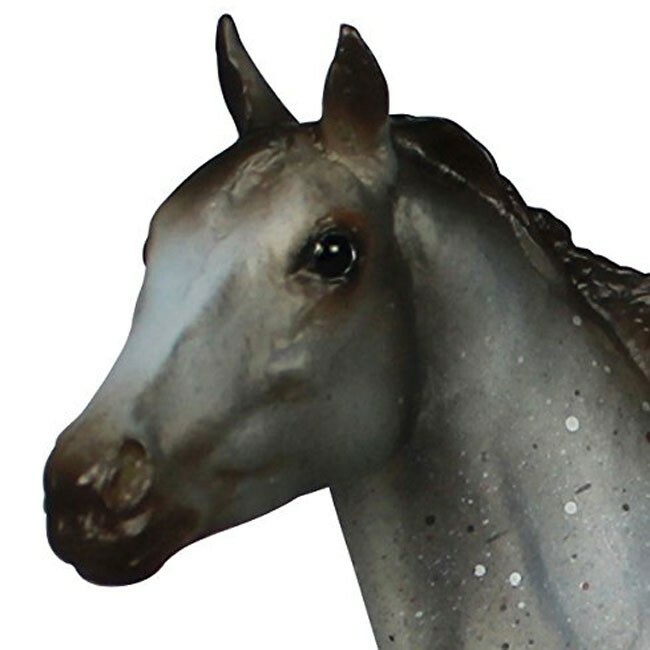 Adventures, challenges, and mysterious events happen to the beautiful horse and help her finding who she is, becoming a real horse hero. 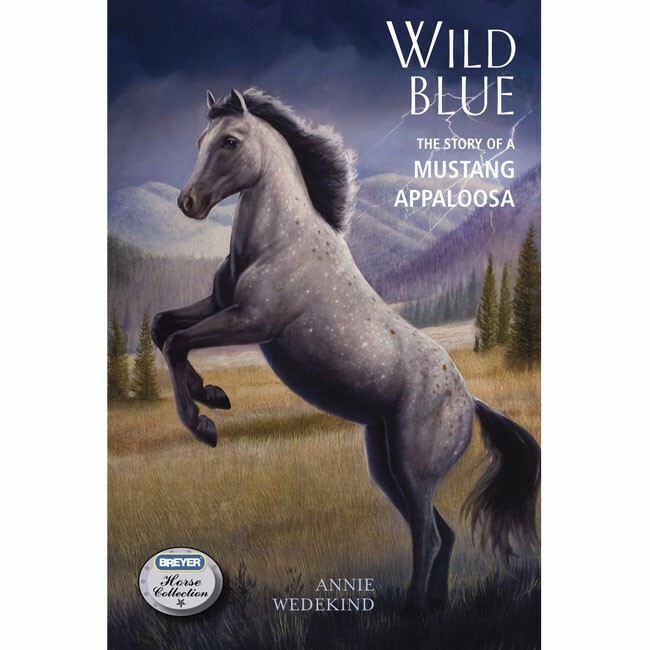 The Wild Blue story is written by a famous author, Annie Wedekind. 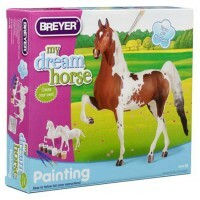 With the Breyer Wild Blue Horse Story Book and Model Set kids learn more about horses, their spirit and personality, learn important moral values and play with the horse character figure that looks exactly like in the book. 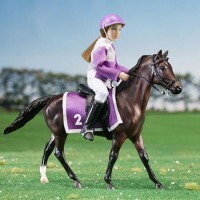 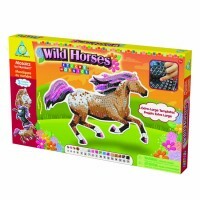 Educational Toys Planet is proud to bring this Wild Blue storybook and Mustang Appaloosa model set to all horse loving kids. 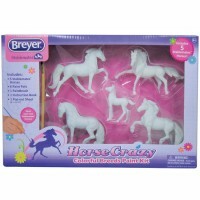 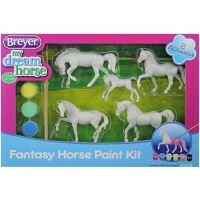 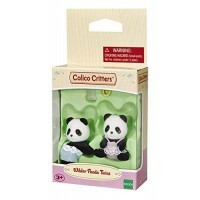 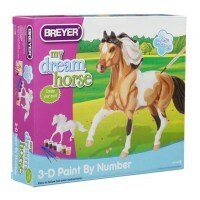 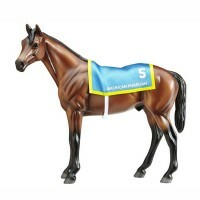 Dimensions of package 10" x 9" x 3"
Write your own review of Breyer Wild Blue Horse Story Book and Model Set.